Sep 09, 2015 | By CENS | PINNACLE MACHINE TOOL CO., LTD.
Pinnacle machines are adopted by subcontract makers for Bosch and the DMG Group of Germany. Besides meeting customer demand with complete product lines of outstanding quality, the company has an R&D team staffed with engineers whose machine tool industry experience exceed 10 years. 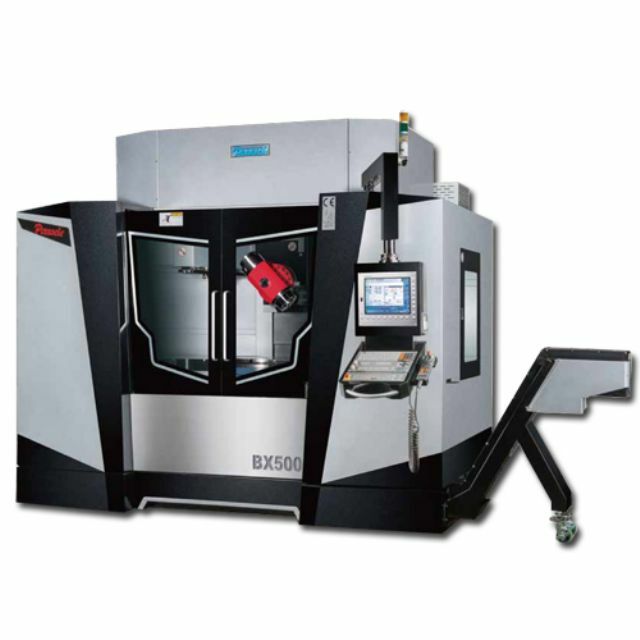 Using advanced tools including CAD/CAM/CAE computer programs and Finite Element Analysis, they come up with well constructed machines boasting excellent rigidity and reliability. The company's latest machines target high-end markets in Germany, Russia, Turkey, India, Brazil, Eastern Europe, mainland China and Southeast Asia. Pinnacle consistently stays well informed of current market and technology trends, the major reason behind the company's steady product improvement that is achieved via solid partnerships with its dealers worldwide. Pinnacle builds reliable products by emphasizing quality control and scientific management. All the parts used in the company's machines are examined to meet stringent standards with advance instruments throughout production. High-end 5-axis machining center from Pinnacle.